Average is what you need to resist and avoid in every way if you want reach your own kind of perfection. Simply resist average, accept no excuses from yourself and do everything you can do achieve YOUR own kind of perfection. 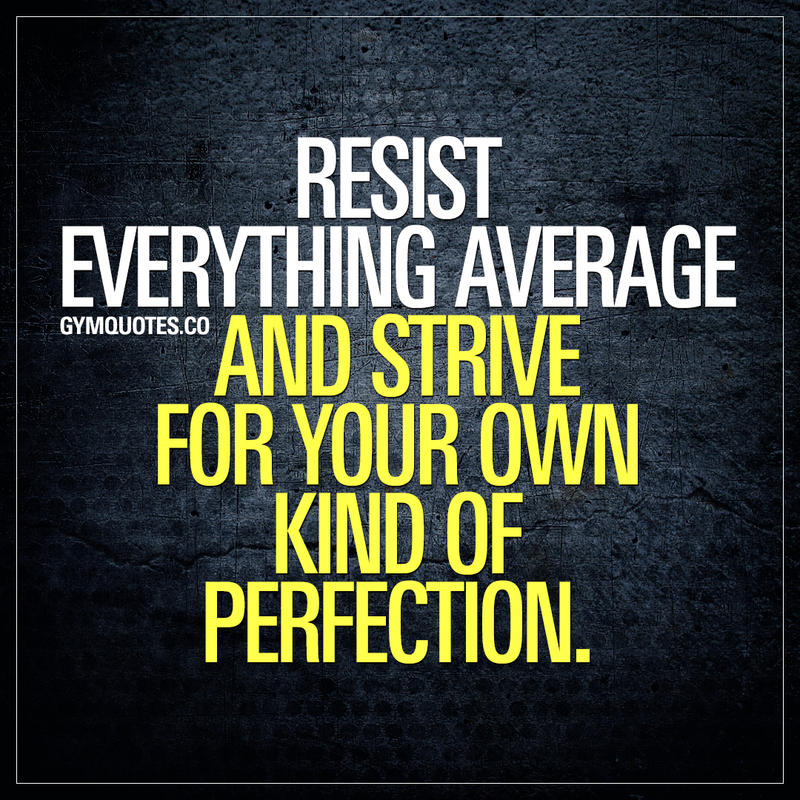 This “resist everything average” quote (image and text) is copyright © Gym Quotes 2019.